If you’re looking for affordable WordPress website packages, you’ve come to the right place! We’ve been building WordPress websites for our clients for years, at prices they can afford and with a friendly and supportive approach to customer service. We like to look after our clients! We offer three standard WordPress website packages, and you have the option to tailor each package to your precise needs – just let us know what you’d like your new WordPress website to be able to do, and we’ll make a few tweaks to the closest available package and let you know if there’s any change to the price. Ideal for small to medium businesses, charities and community groups wanting to showcase services or share information via a brochure website which is easy to update and maintain. 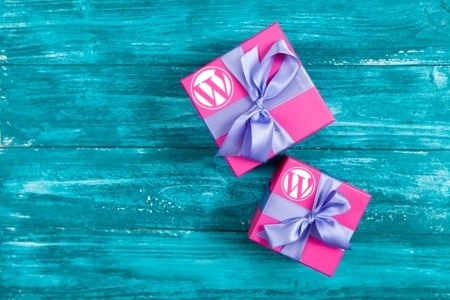 WordPress + WooCommerce is a combination that’s perfect for selling your products online, even if your products are downloadable. Add more plugins for a host of fancy features! If you’re confident about installing and configuring WordPress yourself and just want affordable hosting, domain registration and a premium theme, this is the package for you! If you need a WordPress website that’s a bit different to our usual packages – such as a directory or a portfolio site – we can provide a competitive quote. Find out more about the standard features of our WordPress website packages, including generous hosting, domain registration and support. An at-a-glance chart comparing the features and prices of our brochure, ecommerce and hosting/theme-only WordPress packages. We know that one size doesn’t necessarily fit all, so our packages can be tailored to your needs by adding a range of optional extras. No time for housekeeping? We feel your pain. For a small fee, we can keep your plugins updated, manage comments, and more. Take a look at some of the WordPress websites we’ve built for our clients in recent years. Got a question about our WordPress website services? It’s probably covered in our frequently asked questions. We’re happy to answer your questions or provide a no-obligation quote – please get in touch.